The Creek laboratory at Monash Institute of Pharmaceutical Sciences (MIPS) uses advanced metabolomics and systems pharmacology methods to investigate drug action in microbial pathogens. Infectious diseases cause extensive morbidity and mortality, and emergence of drug resistance threatens to render many common bacterial and parasitic infections untreatable. Current projects in the Creek lab focus on Trypanosoma brucei (Human African Trypanosomiasis - HAT) and Plasmodium falciparum (Malaria). 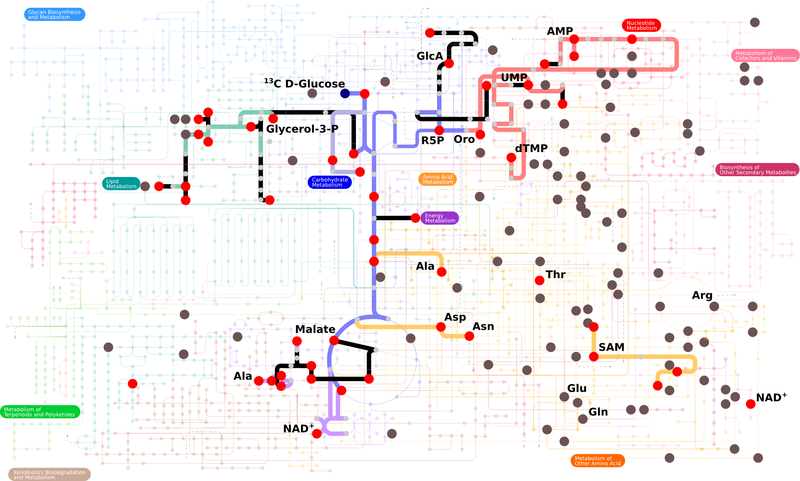 By improving our understanding of metabolic networks and mechanisms of drug action we hope to facilitate the discovery and development of new medicines for infectious diseases. Our key technology is metabolomics. 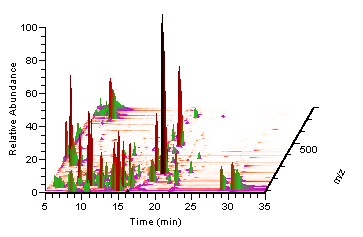 The lab has recently installed a Q-Exactive LCMS platform and we also have nano-LC-Q-Exactive and UHPLC-QQQ platforms to allow analysis of a range of molecule types including drugs, metabolites, lipids and proteins. We culture T. brucei and P. falciparum within the lab, and collaborate closely with the Li group for bacterial studies. MIPS provides access to extensive advanced instrumentation for cell biology, molecular biology, biochemistry and analytical chemistry. Darren completed his PhD in pharmaceutics at Monash University with Profs Sue and Bill Charman studying the mechanisms of action and clearance for novel antimalarial drugs, leading to the discovery of OZ439, a potent and long-acting antimalarial currently in clinical trials. Darren then obtained first-hand experience of tropical disease research, working in a clinical trial for antimalarials in rural Uganda, which described the pharmacokinetics and tolerability of piperaquine in young children and revealed the systematic under-dosing of this population. Dr Creek has post-doctoral experience in pre-clinical drug discovery at the Centre for Drug Candidate Optimisation, Monash University, and in parasite biochemistry at the Wellcome Centre for Molecular Parasitology at the University of Glasgow, and the Department of Biochemistry and Molecular Biology at the University of Melbourne. During his CJ Martin fellowship, Darren developed novel analytical methods for metabolomics, including the widely-used metabolomics software, IDEOM. He was recently elected to the board of directors for the international Metabolomics Society. Darren is currently a NHMRC Career Development Fellow and lecturer at the Monash Institute of Pharmaceutical Sciences and his group continues to develop novel metabolomics techniques and apply metabolomics to parasitology and pharmacology. His work has recently provided new insights into protozoan parasite metabolism, in vitro culture medium development and mechanisms of action and resistance for drugs against malaria and trypanosomiasis. New Start for Honours Students Two new honours students for 2019 have joined the Creek Lab on exciting projects. Yasmina Abdallah and Nathaniel Pywell will be working on projects exploring novel antimalarial modes of action and the biology of the malaria parasite infected red blood cell. We welcome Yasmina and Nathaniel into the group and look forward to seeing their ground breaking research work over the next few months! 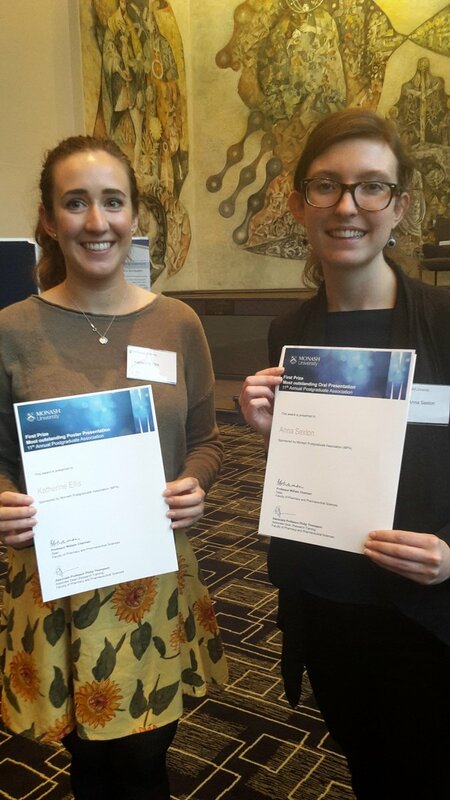 MIPS HDR Symposium - Two 1st prizes The Creek lab brought home the daily double at the 2016 MIPS HDR symposium with Anna Sexton winning first prize for her oral presentation and Katherine Ellis winning first prize for the posters. A fantastic effort on a day that demonstrated so much high quality science being done at MIPS. 3-minute thesis competition Congratulations to Anna Sexton for receiving the runner-up prize at the MIPS 3-minute thesis competition. Anna recently represented MIPS at the Monash-wide event in Clayton, and gave a captivating 3-minute presentation explaining how her PhD work will find out how malaria parasites 'talk to' uninfected red blood cells and cause disease. Well-done also to our close collaborator, Shaz Sivanesan from the FADDI lab, who won the audience-choice award at both the MIPS and Monash events. Prize for Dr Siddiqui Double congratulations to Ghizal. Last week she won a highly competitive poster prize at the Molecular Approaches to Malaria (MAM) conference for her work applying proteomics, peptidomics and metabolomics to understand the mechanisms of artemisinin resistance. To top it off, this week she received official news that her PhD has passed and been ratified by the faculty. Well done Doctor! NHMRC Grant Success 2015 was another successful year for NHMRC project grants, with 2 projects awarded funding in a highly competitive round. Funding was awarded for investigation of the mechanism of action of the novel triazine antimalarials, through a Project Grant led by Jonathan Baell (MIPS) in collaboration with the Avery (Griffith), Edstein (AAMI) and Ralph (Unimelb) labs. The other grant was led by Natalie Trevaskis (MIPS), which will use metabolomics approaches to investigate lymph-adipose interactions. We will also participate in another successful project grant led by Mike Inouye (Unimelb), using systems biology approaches to understand host-pathogen interactions involved in Typhoid disease. Honours completion for Amanda Congratulations to Amanda on completing her Honours year.Amanda completed a joint project between the Creek and Sloan labs, investigating the impact of beta-adrenergic signalling on cancer cell metabolism. In this challenging project Amanda successfully established protocols for Breast cancer cell metabolomics and identified several important changes in central carbon, nucleotide and amino acid metabolism that may be involved in cancer metastasis. Promotion announcement Dr Creek was recently promoted to Senior Research Fellow (Senior Lecturer) by the Faculty of Pharmacy and Pharmaceutical Sciences, Monash University. Darren's promotion comes within two years of joining the faculty and recognises the rapid establishment of this new lab, recent funding success and continued track record of high quality publications, in addition to contributions to teaching and service to the faculty and the international metabolomics community. This is a testament to all members of the lab and to the many collaborators that are essential to the ongoing success of this research. Masters Completion for Daniel A fantastic effort by Daniel Stoessel who has completed his Masters degree with an exceptional grade. Daniel completed two challenging projects in the lab looking at drug action in trypanosomes and developing novel metabolomics methods. We wish Daniel further success as he embarks on his PhD studies with the metabolomics company Metabolomic Discoveries in Germany.